I have just begun asking questions about Buddhism. Seeking out my first book on the teachings, I have just read your review on amazon.com of Eknath Easawan’s translation of the Dhammapada. Although I am a novice of Buddhism, your conviction and sources presented helped me decide not to choose that translation, despite having enjoyed Easawan’s Bhagivad Gita. This however leaves me with what translation to pick. Would you have any recommendations for a translation of the Dhammapada? Thank you! I am always happy to hear it when something I wrote did something positive for somebody. Mr. Easwaran may well be an ideal translator for the Gita–I haven’t read his version and wouldn’t have the expertise to assess it if I did–but for the Dhammapada there are many superior translations available. One of my favorites (especially because it has the stories from the sutta commentaries and the original Pali to boot) is that by Narada, who was a Sri Lankan monk. It is long out of print but available on Amazon; search under “Narada Dhammapada” and you’ll get it. It just so happens though that another review I did on my blog was of a more recent translation by Gil Fronsdal that I HIGHLY recommend. If you look on the front page of my blog under authors you’ll see his name listed. I’ve posted essentially the same review on Amazon. Either of these translations–Narada’s or Fronsdal’s–should serve you well. Good luck to you on your Buddhist studies! I have enjoyed many of your book reviews and we are generally in agreement 99% of the time. But you did state above that “And though I already know a lot, my goal is to do a fair bit of backtracking, of reappraisal, to try approaching everything with a sense of fresh discovery—though not, of course, without a critical eye”, so I am asking you to look at the Buddhist cosmology anew with the thought that despite certain embellishments in the Jataka Tales, commentaries, and later additions to the Nikayas for story telling purposes, the Buddha was referring to REAL realms of existence and REAL Gods in the various heaven realms in this cosmology. To suggest otherwise would make the Buddha a liar and fabricator in gross violation of his own teachings on Right Speech in the Abhaya Sutta. I know of no work that is Theravada in inspiration that treats the cosmology with the sense of realism and compatibility with modern science as I have done in this book, as most academic treatment is dismissive of the cosmology as myth, humor or satire, which you seem to agree with given what you stated in your review of Richard Gombrich’s work. The practicing community seems unusually silent on this issue, preferring to’ go inside’, and casting a broad ‘speculation’ brush about Buddhist cosmology, even though the Buddha himself dd not treat the subject as speculation. 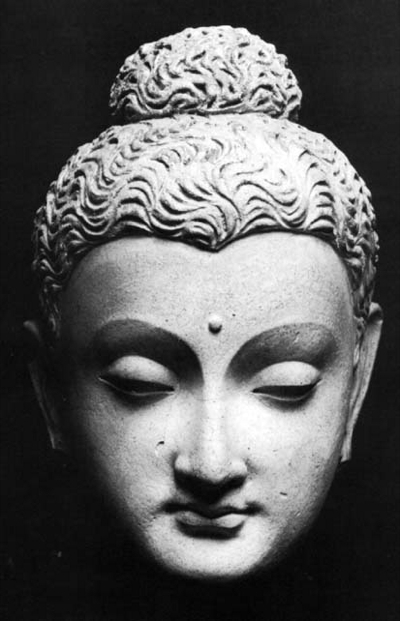 There are far too many suttas mentioning and engaging within the cosmology for it to be an error in the transmission or transcription of the oral tradition, and as you say “we will all die some day” – most without attaining nibbana – so it behooves us to understand – as much as we can – what the Buddha meant by these fairly detailed descriptions of the cosmology, which I argue in the book cannot simply be dismissed as allegory, myth, humor or satire. I think part of the reluctance of many to take the cosmology seriously is based on their non-practice or limited practice they think this would make them a faith-oriented ‘believer’ rather than someone who understands based on direct knowledge and experience. And although you say you spent much time in Sri Lanka (where I currently reside) and elsewhere in Asia ‘practicing’ what the Buddha taught, given your dismissive attitude of the cosmology that is shared by most non-practicing scholars, I wonder if you ever encountered any being in any realm of existence other than beings in and from the human realm (this would obviously exclude animals, insects, and other common course-bodied beings, of course). This is not to knock your practice, but to raise a serious question concerning the nature of your practice. Do you know or have you encountered in the many years on the Buddhist path ANYONE who has had direct experience and knowledge of beings with fine material bodies of light as described by the Buddha concerning beings from the Rupa Loka realms? Feel free to contact me privately if that suits you. I have included my email in the comment form to this comment. Or you can contact me through the email address in the ‘contact’ section of the Why God Became a Buddha website. Dear M. Brahmana, Quite an interesting comment! Honestly though, I�m not sure what it is I said that might have given you the impression that I dismiss the cosmology expressed in the suttas because in fact I don�t. When I first went to Asia (back in 1989) I was skeptical�to say the least�of rebirth and such things. However, experiences of my own (one of which is detailed in a post on this blog) as well as innumerable experiences of other people convinced me that the world was quite a bit stranger and more complicated than might seem to your standard materialist�s eyes. While in Sri Lanka I also underwent a s�ance with a man who claimed to become possessed by his dead father�s spirit. The man proceeded to say things about me that were uncannily accurate and that nobody present, except me, could possibly have known (childhood incidents, accidents, the layout and appearance of my childhood home, etc). It was the clearest and most irrefutable demonstration of clairvoyance I�ve ever seen. Add to this the fact that my wife has had first-hand encounters with ghosts (devas?) and I would trust her with my life, for obvious reasons. All this is to say that I think that, if anything, the universe is *at least *as strange and multivarious as the suttas depict. Far from my doubting what the Buddha said he saw (or what the suttas say he said he saw), I am strongly inclined to believe it, even if I myself am not usually privy to such information. So, for better or worse, you have been under a false impression regarding my thoughts on these matters. I Thank for the efforts for the reviews of dhamma books. I like to know your views about books of Ayya Khema and also request you to review these books if possible. 1) Who is myself?, 2) Being Nobody, Going Nowhere . I’m not doing book reviews these days, as family business obligations have sort of taken over a lot of my time. Also, I have a lengthy list of books to read and unfortunately Ayya Khema’s books are not on it. Very sorry! I am sure if you go to Amazon you’ll find many people who have done excellent reviews of those books, and more. I was reading one of “A.E. Hollingsworth”s reviews on Amazon when I came across a link to your discussion (https://buddhistbooksblog.wordpress.com/tag/kenneth-l-wheeler/) of this clearly troubled individual. You may be slightly interested to know that his “aryan buddhism” blog that you linked to in your post now seems to be defunct, however he is now writing for what appears to be a white supremacist website here: https://lumineboreali.net/threads/aryan-buddhism.281/ His tagline, if that’s what you call it, is “Snow heaped up in a silver bowl, a white heron hidden in the full moon’s light”, just in case you’re still wondering what his favorite color is. Thanks so much for the update–as well as your very humorous jab at Mr. Hollingswoth. It’s been a long while since I tangled with the Aryan Buddhist, but I’m not surprised he ended up where he did. I think what I found most perplexing about him was why someone who had such serious anger management issues would be attracted to Buddhism or the Buddha’s teaching in the first place. His behavior–well documented in dozens of forums across the web–is so at odds with his expressed interests. This is clearly a case where the left brain knows not what the right brain is thinking (and vice versa). Maybe he had a corpus callosotomy–the surgical splitting of the corpus collosum–performed on him at some point. This might explain a few things…. I am very happy to have run into your site. It is excellent and I have already bought “In the Buddha’s Words” because of your reviews. I saw your review of books on Korean Zen. I am the author of the Wikipedia biography page for Seong Cheol sunim, Wiki ID of Wikimelee. I wrote it during my internship in 2007 if I remember correctly, and it took me about a month (I am ethnically Korean and was raised in both Korea and the US, with most of my education and adult life in the latter). There was just no information about this remarkable man in English, and being flabbergasted, I just decided to write a wikipedia page myself using a Korean biography of him written by one of his closest disciples (his Ananda to the Buddha, in analogy). That biography was a big seller in Korea when it came out (성철스님 시봉이야기), and it eventually led me to buy pretty much the entire bibliography of Seong Cheol sunim, including the 47 books that he recommended out of the traditional Chinese Zen canon, which were up to that point, incredibly difficult to obtain (most were untranslated from ancient Chinese, locked up in monasteries). They are sublime to read, and it’s a shame there are no translations of them in English. Anyway, I think your site is excellent and in a way, a Bodhisattva work of its own, spreading wisdom to as many people as you can, including me. After discovering Buddhism through “The Compass of Zen” by Seung Sahn sunim (founder of the Kwan Um School of Zen) in college, I also roamed around a bit like you, although not as intensely as you, I suspect. Mostly my practice has been in Korean Zen, in the setting of the Kwan Um school, with retreats in Hwagyesah in Seoul, Musangsa in the Korean countryside, New York, and recently, LA. Most of my readings have been in Korean Zen, but with a fair bit of Hindu readings (Ramana Maharshi and Nisargadatta Maharaj are excellent). I want to thank you for regalvanizing my practice with your book reviews. Due to time constraints and my job, I’m just now reading the introduction to “In the Buddha’s Words” but even that was enough to get me to re-enter Dharma practice that I have long ignored, and think about why I entered the sangha in the first place. By the way, your review on “The Way of Korean Zen” was spot on. I have to agree that the primary sense you get from it is, This is the real deal! It’s a big shame that there are innumerable such works to be found in Korean, but not translated as of yet to the Western readers! I also have to unfortunately agree with you on Lama Surya Das’ works. If he could tone down the populist a little more and get more precise and technical, I think they would be much better works (and like you said, would sell less). Finally, I don’t know if you read and understand Korean at all from your days at Songgwang-sah, but I would be up for sharing books with you if you were interested. Most of them are the books I already mentioned, like those of Seong Cheol, but also a fair amount of the Chinese and Korean Zen canon. Let me know if you’re interested. The images seems quite peaceful. Craig, in one of your reviews you despaired that there weren’t any good, scholarly bios of the Buddha. Have you read, “Gotama Buddha” – Hajime Nakamura’s two volume bio? It’s a bit dated (the most recent edition was published in 1991) but still very good. I am giving away my bardo film guide to anyone interested in the subject(s). Please click on the webpage to download a PDF of my manuscript.